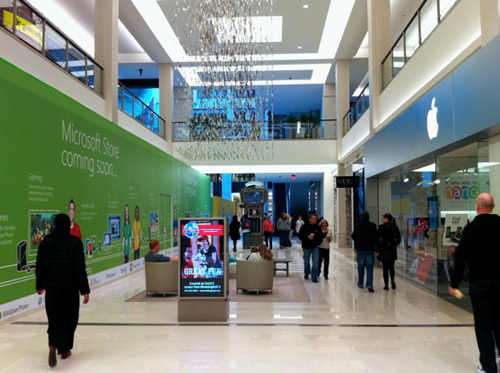 While many will say that Microsoft’s decision to build an MS store across from the Apple Store in the Mall of America is kind of a douche move, it’s really not. After all, if you’re shopping in the freaking Mall of America for electronics, you’re probably not big on walking. This way you can hop on your little electric Weasel, ride down the thoroughfares of America’s cathedral to commerce, and get your Cinnabon, your WinPho 7 phone, and your iPod all in the same place. Then you can go home to your product-strewn home and yard and stare morosely at the sunset on America.